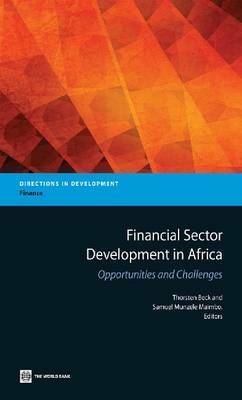 This edited volume contains eight studies of financial sector challenges in Africa that served as background studies for Financing Africa: Through the Crisis and Beyond. One of the major challenges for African financial systems is to expand financial services to a larger share of the population. The chapters in this area cover microfinance in Africa, the role of technology, reforms of payment infrastructure, and financing agriculture. Two chapters cover challenges in increasing long-term finance; one covers housing finance and the other the role of sovereign wealth fund. The book also contains a detailed discussion of bank regulation and supervision, especially in light of the current regulatory reforms in Europe and North America. The final chapter provides a political economy perspective, discussing the conditions for activist government policies in the financial sector.